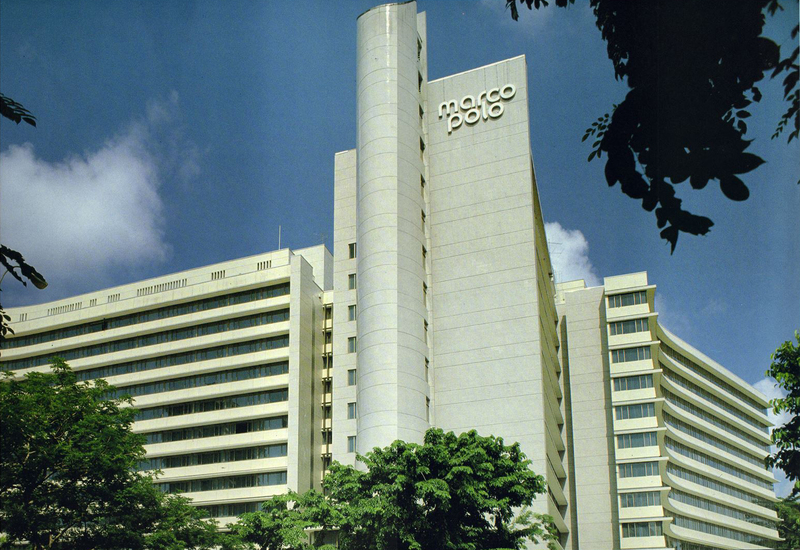 Before being renamed the Marco Polo by the present owner, the original building was known as Hotel Malaysia. 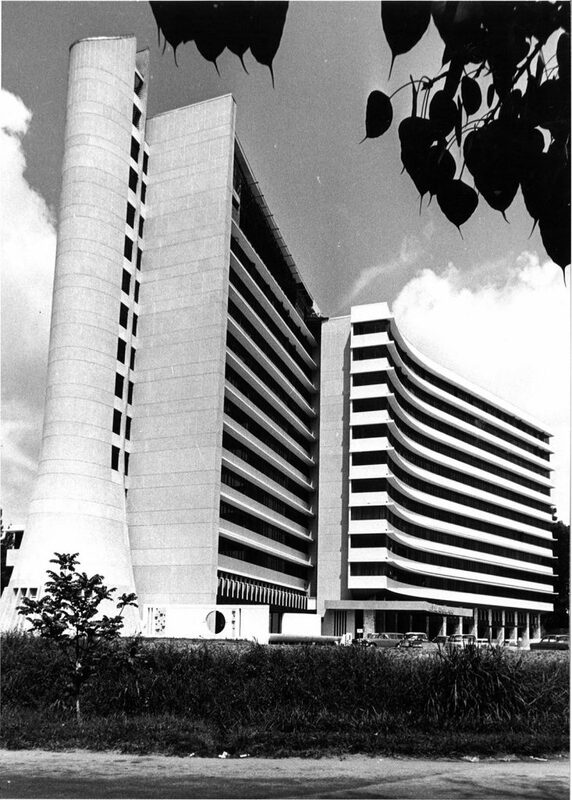 The Hotel Malaysia was the Republic’s first purpose built-international hotel. The total accommodation at that time was for 300 hundred guestrooms. An extension to the hotel in 1980 provided a further 308 rooms and a full services upgrade. The public rooms had to be enlarged and redecorated, but the general layout of the ground floor remains similar to the original concept. The final building form is designed as two parallel curved blocks, which enclose a poolside area for guests. 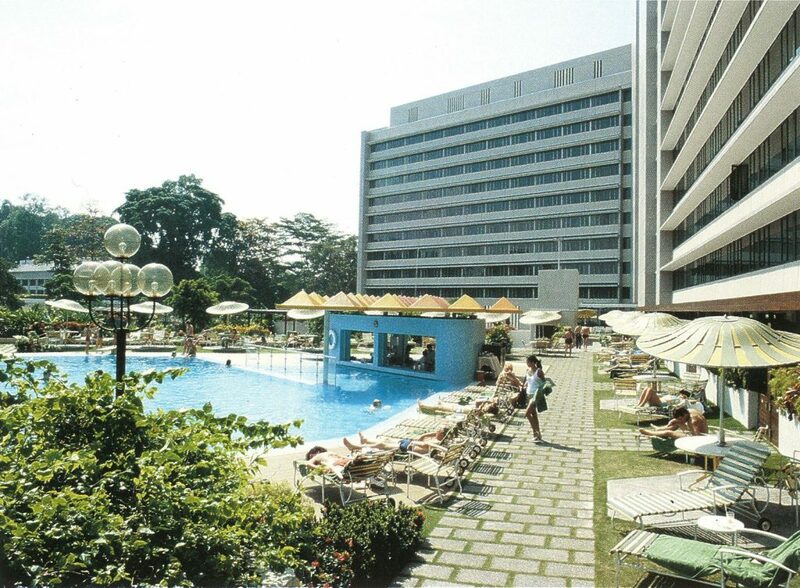 The hotel was given the 1983 Singapore Institute of Architects Award for Design Merit and was ranked as the fourth Best Hotel in the World by British Magazine ‘Executive Travel’ and the Hotel Travel firm of Exp-o-tel Ltd.
Extensive landscaping, in line with Singapore’s Garden City image, has been used to complement the existing surroundings of the Hotel, which are well endowed with roadside trees.